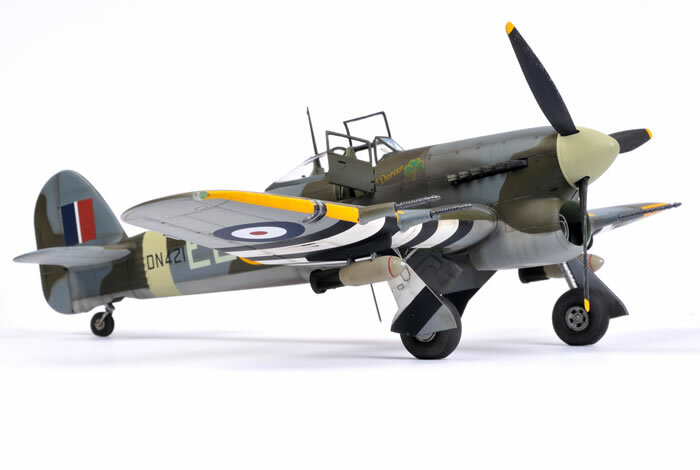 Here is my 1/48 scale Hasegawa Hawker Typhoon Mk.IB 'Early Version', kit no. JT183 originally released in 1999. 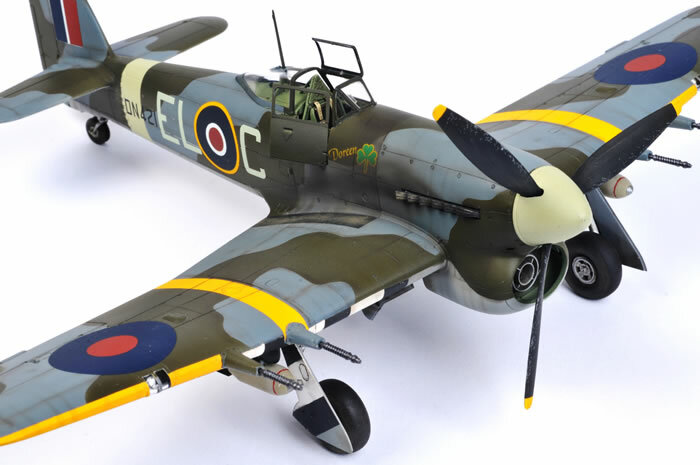 Roy Sutherland has recently released some gorgeous updates for Hasegawa’s 1:48 scale Hawker Typhoon under his Barracuda Studios label including wheels, exhausts, radiator insert and a cockpit for the bubble top version. These accessories are based on a set that was mastered (in every sense of the word) by Roy and released by Jaguar back in 1999. This original set includes parts for both the car door and the bubble top cockpit, and I decided to finally use it for this project. 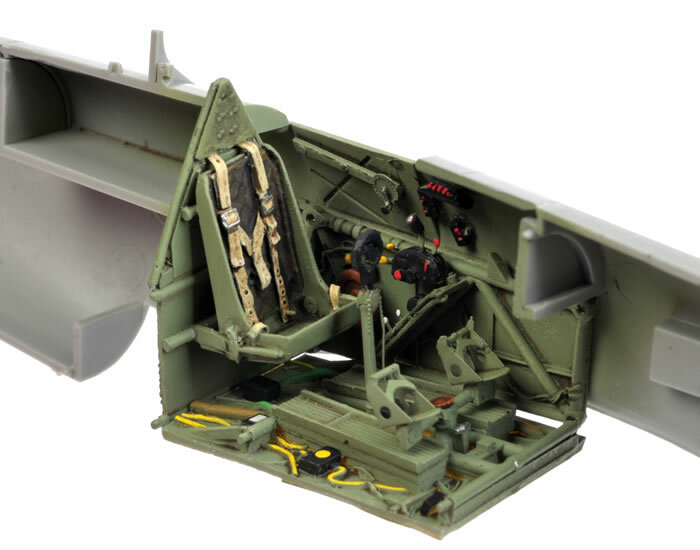 Although the colour of the resin displays a butterscotch hue and a few of the parts for the car door version are different, the quality and detail of the Jaguar set are essentially identical to the new release from Barracuda Studios (but please note that the current cockpit release includes parts only for the bubble top version). This set is magnificently detailed by today’s standards. It was mind-boggling back in 1999. I used the new Barracuda Studios resin for the wheels, exhausts and intake. 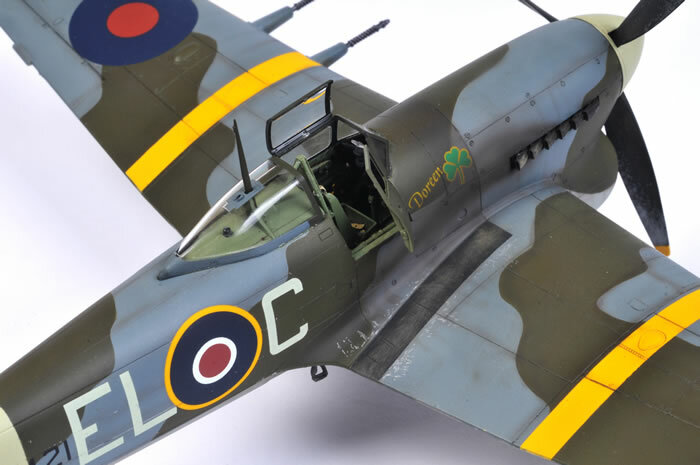 Construction and finishing of this model will be described in Issue 23 of ADH Publishing's newest model magazine, "Military Illustrated Modeller". Military Illustrated Modeller is available at WH Smiths and other newsstands. 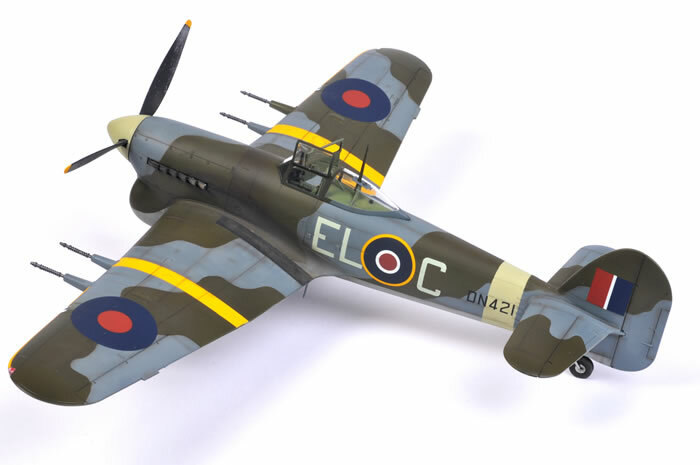 It may also be ordered online directly from the Military Illustrated Modeller website.